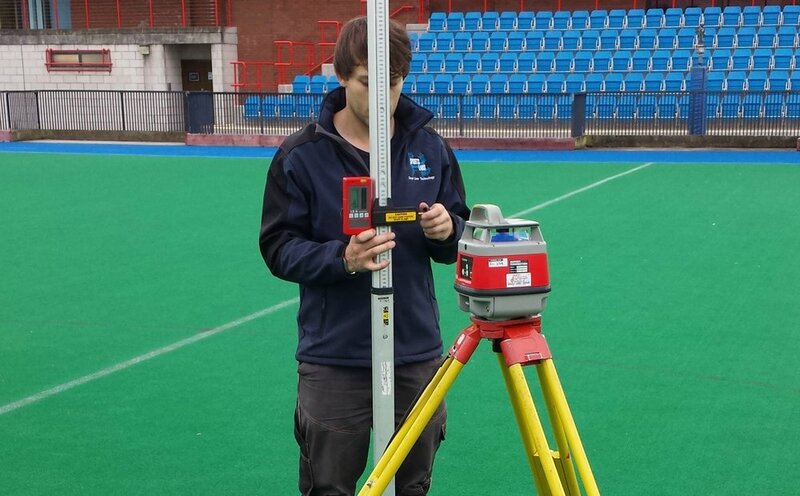 An early claim to fame for Sports Labs was the implementation of Key Stage Inspections (KSI) to the construction of the whole of the base works of an artificial pitch or track. It was in the late 80's, in fact, that our principals, civil engineering, and testing background evolved in such a way that designing a pitch from the ground up and making sure it was built correctly became fundamental to the core management of all our projects. Key Stage Inspections were developed to deliver the best possible end product. We created a process of ensuring that the formation, drainage, sub-base and engineered asphalt layers were properly specified and that the quality of what was being built on-site was to the highest standard. What is a Key Stage Inspection? During a Key Stage Inspection, a visit is made to site to inspect and test an aspect of the work against pre-determined specifications. The materials quality, workmanship and key performance characteristics are all assessed. The visit usually occurs at predetermined milestone events during the construction phase. Which Key Stage Inspections are typically performed during the construction of an artificial pitch or track? Checks are typically made at the following stages. These may be inspection works, testing or both. Why are Key Stage Inspections so important? To Identify Problems Early - It is important to identify problems as early as possible. When the works are inspected and tested regularly, it reduces the opportunities for things to be incorporated into the works which are substandard or indeed non-compliant. Tests benchmark the quality and compliance of the works. To Ensure Specs Are Met - To ensure all specifications are being met, pre-set limits or criteria are used to measure things like bearing capacity, planarity and infiltration rates. The shock pad and turf seams can be sampled to ensure that they are high quality and meet minimum requirements. Infill can be sampled to assess for harmful substances, shape, and gradation. To Allow Contractors Time - Key Stage Inspections benefit the contractors by providing them as much time as possible to resolve any problems. The frequent communication between engineers and contractors means that healthy engagements can take place. This creates an environment which benefits both working relations and, ultimately, the outcome of the job. To Save Money - The bottom line is that Key Stage Inspections can help all parties avoid very costly rectification works to base construction and the remedial works to the artificial turf or polymeric systems. In our opinion, KSIs are the only way to guarantee that the finished pitch or athletics track will fully meet the intended specification.